As a clinician-investigator trained in Epidemiology and board certified in Internal Medicine, Dr. Bazzano has expertise in a broad range of clinical research with a focus on cardiovascular disease and its risk factors. Her primary emphasis has been on the role of dietary and metabolic factors such as obesity, lipids and glucose in the development of vascular disease. 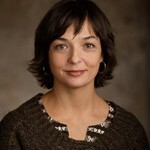 She has been working with the Bogalusa Heart Study program since 2010 and currently serve as the Chair of the Bogalusa Heart Study Program Steering Committee and PI on an NIH/NIA R01AG041200 investigating the role of vascular aging in cognitive and physical performance in the Bogalusa Heart Study cohort. As a native of Louisiana, with the greater portion of my training and career in the local area, Lydia has strong connections to the community in Bogalusa and helped to establish the new 7,000 square foot research clinic in which the Bogalusa Heart Study Program is housed. 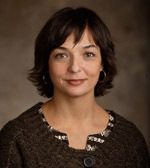 Dr. Bazzano has published more than 80 peer-reviewed research papers and has substantial experience in the design and conduct of both observational studies and randomized controlled trials in community settings.